2018 Unverferth MODEL 410 4-row 36" for sale in Norfolk, NE. 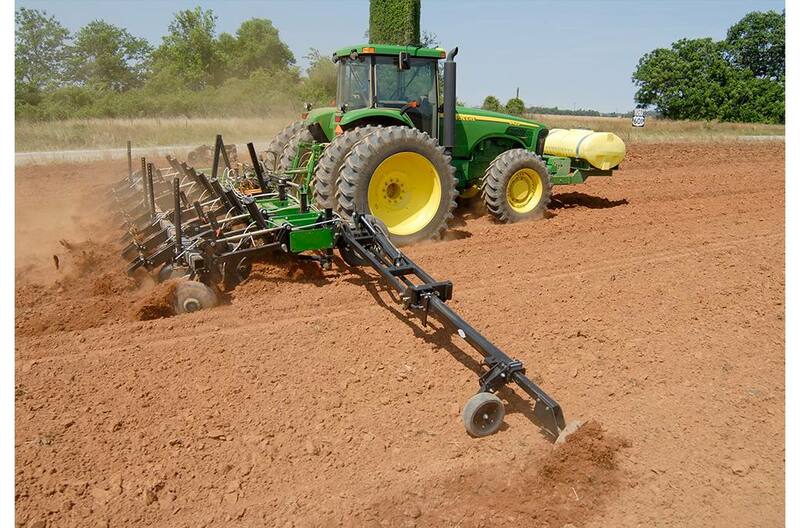 Dinkel Implement Co.
2018 MODEL 410 4-row 36"
2018 Unverferth MODEL 410 4-row 36"
The Unverferth Ripper Bedder uses deep till shanks and offset discs to create an ideal seedbed for peanuts, cotton and other bedded crops, saving you time and fuel by doing both in one pass. Transport: 15 ft. 6 in. With coulter: 3400 lb. ; Without coulter: 3000 lb. 2018 Unverferth MODEL 410 12-row folding 36"
2018 Unverferth MODEL 410 12-row folding 38"
2018 Unverferth MODEL 410 4-row 38"
2018 Unverferth MODEL 410 6-row 36"
2018 Unverferth MODEL 410 6-row 38"
2018 Unverferth MODEL 410 8-row folding 36"
2018 Unverferth MODEL 410 8-row folding 38"
2018 Unverferth MODEL 410 8-row folding 40"
2018 Unverferth MODEL 430 12-row folding 36"
2018 Unverferth MODEL 430 12-row folding 38"
2018 Unverferth MODEL 430 4-row 36"
2018 Unverferth MODEL 430 4-row 38"
2018 Unverferth MODEL 430 6-row 36"
2018 Unverferth MODEL 430 6-row 38"
2018 Unverferth MODEL 430 8-row folding 36"
2018 Unverferth MODEL 430 8-row folding 38"
2018 Unverferth MODEL 430 8-row folding 40"